NOTE - this stamp uses the augmented reality technology. When you hover your smartphone over the stamp using the "mARka" applicationn, the image “comes to life” and the Siberian Crane soars over the water landscape. 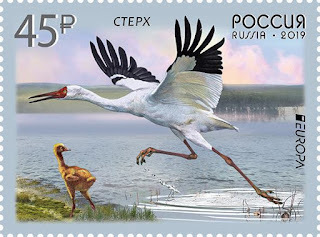 The picture is accompanied by a brief information about the Siberian Crane and the sound of his singing.